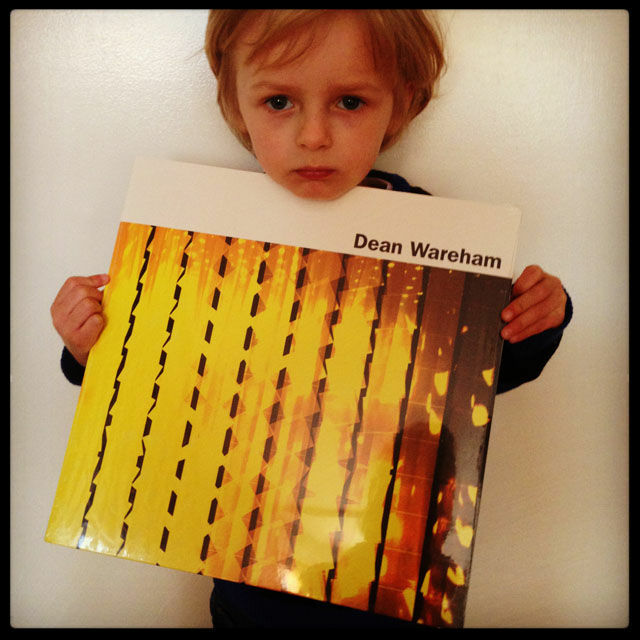 Dean Wareham's new album, released next week on Double Feature and Sonic Cathedral has been getting good reviews in print and online - here I'll collect a few - please feel free to add any others you may find in the comments (or email them to me if you prefer). It's a nine-piece set of glorious tunes produced by Jim James. I think that it comes out later this month. The lyrics flow and interplay like a DNA helix. It's a song cycle that, to me, touches every stage of his recording career. References repeat resoundingly. The lyrics here can collide, disperse and recombine in ways that remind me of the structure of the first half a dozen Van Morrison solo albums. I kinda feel like I've had these very same thoughts myself but Dean has stitched them all loosely together like a Crazy Quilt. One that only makes perfect sense when you stand back and look at it as a whole. He's always been able to say so much while using only a scarcity of carefully chosen words from his quiver. Scattered amongst these songs is some of the most intricate and exciting guitar work he's ever recorded. Luna's obsessive valve-amp loveliness is here supplanted by a more varied spread : opener The Dancer Disappears - Dean attempts to corral a disco track from the chords to Glen Campbell's Mary In The Morning - contrasts '80s synthesized beats with Wareham's Velvets style arpeggios. It's hardly disco, but it's lovely. Dean Wareham has finally released a solo album. The singer-guitarist’s trademark slow, rhythmic chug and wry worldview are both here, as appealing as ever, and Jim James’ warm production renders these songs equivalent of cozy Danish modern furniture - all clean lines and earth tones. [Dean Wareham is] someone who so deftly carved out a niche in the world of independent music, it's difficult to begrudge him the simple pleasures of writing beautiful songs, year in, year out. But tightrope walking between familiarity and homogeneity carries its own risks. On Dean Wareham, his first proper solo album after 2013's Emancipated Hearts mini-LP, he mostly navigates it well. La carriera solista vera e propria di Dean - mai finita a dire il vero anche dopo lo scioglimento dei Galaxie 500 – sembra essere iniziata col botto, dopo l'Ep (in realtà più corto di questo esordio di solo un paio di tracce, di cui una presa in prestito dall'amico Michael Holland dei Jennyanykind) di dicembre. Alla produzione qui Jim James dei My Morning Jacket sostituisce Jason Quever dei Papercuts , e sceglie per questo Lp omonimo un aspetto decisamente più convenzionale (ma anche generalmente più fedele alla personalità artistica del suo autore), levigando ogni asperità dopo l'ammiccamento al dream-pop indipendente di "Emancipated Hearts". Cinematografica è infine la chiusura di flebili impressioni metropolitane, notturne, di “Happy And Free”: Dean si allontana in taxi su un ponte illuminato, ma sul comodino ci ha lasciato uno dei dischi del cuore di quest'anno. French magazine Magic RPM gives the album 4 dots.... out of six!? Et il en est ainsi à chacune de ces neuf chansons parfaites, indémodables. Les mélodies euphorisantes se font gentiment bousculer par une instrumentation touffue et psychédélique : Dean Wareham endosse alors de nouveau son costume de doublure policé du Lou Reed du Velvet Underground ou de Tom Verlaine période Marquee Moon (Television – 1977). Dans le fond aucune surprise donc, si ce n’est celle de retrouver un vieil ami à un tel niveau de forme. Head off to Dean Wareham's website, Sonic Cathedral, iTunes, Amazon, or your favoured brick or online record emporium to pre-order your copy ahead of next week's release.